The band announced on their Facebook page that Lemmy learned of the disease on December 26th, and was at home when he died. The band requested fans “play Lemmy’s music LOUD. Have a drink or few. Share stories. Celebrate the LIFE this lovely, wonderful man celebrated so vibrantly himself." “There is no easy way to say this … our mighty, noble friend Lemmy passed away today after a short battle with an extremely aggressive cancer. He had learned of the disease on 26 December, and was at home, sitting in front of his favorite video game from The Rainbow which had recently made it’s way down the street, with his family. 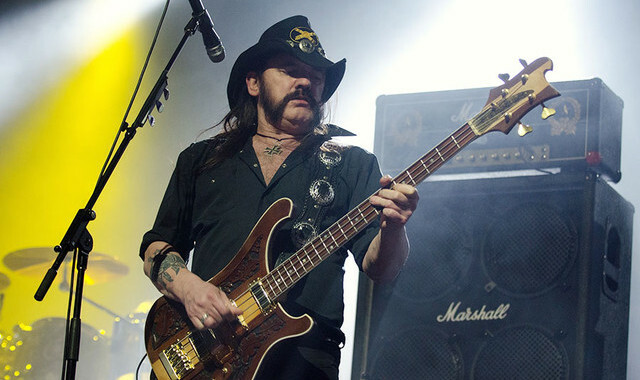 Lemmy in Los Angeles earlier this year for a Grammy ceremony. " “We cannot begin to express our shock and sadness; there aren’t words." “We will say more in the coming days, but for now, please … play Motörhead loud, play Hawkwind loud, play Lemmy’s music LOUD. Have a drink or few." “Celebrate the LIFE this lovely, wonderful man celebrated so vibrantly himself."